There is a major percentage of Job offer drop seen in IT sector (32%) followed by Offshoring domain (29%), according to data shared by en world India. What seems to be good news for the candidate seems bad news for the recruiter. There is still crunch of skilled candidate especially at mid to senior position. As new technologies are emerging with AI and human robots, hiring in IT sector especially candidates trained with advance software knowledge is booming, and that is leading to one of the major hiring threat that recruiters are facing - Candidates are increasingly declining job offers. The Job offer decline survey (FY17-18) was conducted by a global recruitment firm ‘en world' – India on the sample size of 2000 mid & senior level candidates across major domains including Consumer, Retail, Telecom, Pharma, Engineering, Offshore Consulting, IT and BFSI. The trend was witnessed across all sectors, but mainly IT sector is where the job offer decline ratio is maximum. As per the survey, IT Industry (Information Technology) faces most job offer declines at 32%. This is followed by Offshoring sector (nearly 30%), which also recruits IT professionals. After IT & offshoring industry, Engineering industry is also gripped by this challenge (25% Job decline ratio) followed by BFSI industry. With the shortage of skilled niche candidates, the job market is increasingly governed by candidates rather than the recruiter. Along with competitive salaries, recruiters are luring the right candidate by promoting their employer brand, and the companies work culture. Reasons that candidate cite for the offer decline include: better offer from the competitor, current company retention plan or the offer is not lucrative enough. To reduce such cases, companies are also gearing up to hold the best talent. Few measures involve cutting the turn-around time for recruitment process itself, preferring immediate joiners, buying out notice periods, additional to joining bonuses and perks. To follow up with the client: As to the quality of candidate they are looking for) : The more information from the client would help to narrow the ‘ideal' candidate for the position. The gap in communication is minimized when the job description and KRA are clearly mentioned. The candidate - To assess his or her career aspirations and interest. It is important to understand the reason for his/her last shift. Be well versed in the retention policy – It can serve as a guide to recruiters with respect to the talent pipeline that should be maintained. What recruitment firms are doing about it? Job offers being declined by candidates also hampers the recruiters’ creditability as the turn-around time also increases. Job offer decline is one of most time consuming and expensive activity as one is at closure stage and the hiring agency needs to start all over again. At ‘en world’, the priority is not finding the ‘best' candidate in the market but the ‘right' one, the candidate that matches client requirement, adheres to the client's budget and there it is possibility to assess success after joining. 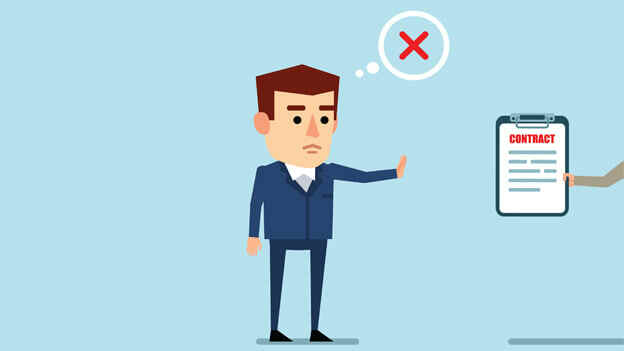 To reduce the ratio of offer-decline, we engage with the candidate to understand his goals & expectations and align that with the client expectations, maintaining transparent & open communication, we also critically evaluate the candidate’s inclination towards the client at every stage to create a backup. When the client budget and market rate doesn't match, industry reports are provide to educate the client to make better decision making. Koji Murata is the CEO, en world India.